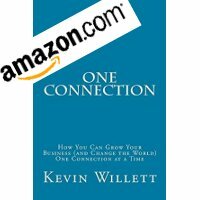 Kevin Willett the Founder of the Friends of Kevin Networking Group is happy to announce that the Friends of Kevin will be hosting a free community networking event in Lowell MA at the Career Center of Lowell. The Friendworking event will be held on October 9th from 6-8pm. Career Center of Lowell is located at 107 Merrimack St.
We have 10 tables available for local non-profits and business resource groups. Please email Bob McIntosh at [email protected] if you are interested in a spot. This is a great way to raise awareness of your group for free.